Lover of the great outdoors - when not working enjoys taking pictures, running, procrastinating, occasionally baking and spending time with chums. Empty nester.Lives in Edinburgh with football loving husband and occasional visiting grown-up daughters. Often on a train. My London dwelling daughters have settled south of the river in Camberwell & Tooting respectively. Last weekend was a first proper foray into South London. For someone who is both a fairly frequent traveller and a geography graduate – I am embarrassed to admit to a dreadful sense of direction. Or more accurately, I never quite succeed in making the connection between reality on the ground & maps. Whether they are of the paper or Google variety – I struggle to join the dots. It’s a conundrum because I love maps – reading them and pouring over the detail of the symbols, the cartography and notation. Have even been known to choose an OS map as bedtime reading. Unfortunately, when walking or running I need more obvious visual references to stop me getting lost and am much more likely to arrive at my destination by following simple instructions like take a left at the big red sign or right at the Wheatsheaf pub. A perfect example of this disconnect was when arriving at Balham underground station I failed to locate the Balham Travelodge – even though the hotel is pretty much on top of Balham station! As is often the way – opting for the wrong underground exit and surfacing I saw the hotel entrance beaming out at me from the other side of the road. This lack of map reading ability does mean that I often make interesting discoveries unintentionally, and as long as I am getting lost in daylight hours, I see this failing as a good thing- and a serendipitous way to get to know a new place. When venturing out later in the day and in darkness, fortunately Transport for London do keep you informed via electronic bus displays. On Saturday & after a most excellent evening of pizza & wine – I was dispatched safely by my daughter onto a number 45 bus. And with tables turned, I was given detailed instructions of where to get off, & advice to use Google as back up. With tables turned, on arrival above ground – my girls have texted to see I have arrived safely & I must update via WhatsApp that I am back in the hotel in one piece. Happy to report that regardless of being directionally challenged & inclined to a wee snooze on the tube – I survived my first time south of the river & by Monday was slowly feeling I had the measure of another slice of London. It had been a while since I had last visited London after a spell of working there last year. This weekend was a time to visit my daughters and see an exhibition or two and the date turned out to coincide with the People’s Vote march – an event that had passed me by in the blur and Groundhog Day noise that Brexit has become. I did not join the march, but witnessed some excellent placards and did enjoy a good conversation and an expression of solidarity on the topic with a marcher I met on the tube. Last year my spell of working in London was brief, but during that time I felt I had, like millions of others before me, been welcomed as a temporary Londoner. Now back home working in Edinburgh, I do sometimes miss the vibrancy of London, and the diversity of people and experiences that were an everyday occurrence. London is ‘always on’ and can be a hard place to work & live – keeping up with the energy and pace can drive you to weariness, but that energy is also exhilarating and challenging in a good way mostly. This weekend trip was not about challenge but more about family and a chance to discover new places. With my grown up children living away from home, I was looking forward to spending time with them in their new neighbourhoods. We had art on our agenda but also time for chatting and wandering, eating & drinking and catching up on news. In between and by accident almost, I visited three different art exhibitions and as is often the way, the best one was unplanned. Despite being a fan of pop art, I had not heard of Corita Kent – Sister Corita – and my visit to the House of Illustration was prompted more by wanting to see an exhibition of drawings by Ludwig Bemelmans – from the Madeline books. The ticket included entry to 2 other exhibitions – Journeys Drawn – illustrations from the Refugee crisis and Corita Kent Power Up. A trio of very contrasting exhibitions. Journey’s Drawn was a powerful and moving testament to the experiences of refugees seen both by observers and drawn from experience. Moving on to the Ludwig Bemelmans exhibition felt like a more innocent interlude after the reality of Journey’s Drawn – a brief glimpse into how the stories and characters evolved and a window into his approach and style of Illustration. Carita Kent was a revelation for me – I had not heard of this pop art nun – whose art combined messages from Holy scriptures with advertising slogans. A mash up of Los Angeles billboards and mass media, creating motivational and uplifting messages screen printed in day glo. She talked about her art being like the original books of illumination – where Illustration ‘throws light’ onto a message. Was a joyous, colourful exhibition and a new discovery for me. On Sunday – we all visited Pierre Bonnard – The Colour of Memory exhibition – at Tate Modern. His was a different use of colour and his ability to recreate landscapes from memory created beautiful paintings and his skilful way and modern composition of painting nudes and landscapes was very evocative. I liked the paintings but whether because I was overfilled on art or my expectations were on the high side, it did not have the same impact as any of the exhibitions I had seen the day before at the House of Illustration. Before visiting either of these exhibitions my first exhibition visit was to see Dorothea Tanning also at Tate Modern. On Friday evening after a long and tiring day travelling – I took advantage of late opening at Tate Modern and decided to visit the Dorothea Tanning exhibition. I think as a canny Scot and with my annual membership of the Tate coming to an end, I was trying to use it to the max by seeing as many exhibitions as possible! I can’t say I really enjoyed the exhibition save for a few pieces, ( e.g. her sketch of tango below ) maybe I was just too tired. I whizzed round the galleries desperate to get beyond the Surrealist paintings and fur fabric sculptures so I could sit down and have a cup of tea. Although I like visiting exhibitions, I am not a true art aficionado and sometimes whether through tiredness or just sensory overload, I find it overwhelming to process the visuals and grasp what the artist is trying to convey. Walking out of the Tate onto the riverside picture of night time London, hearing birds singing in the midst of the city was perhaps the best painting for me. In between the mostly grey January days, there has been the odd bright interlude – a winter gem of crisp, eye-watering cold – blue skies, glistening pavements and low winter sun that almost blinds you. Just as my summer memory is filled with long soft sunny days of peachy light ( yes, even though I grew up in the north of Scotland), the winter I remember is always frost filled with steamy breath clouds and icy air that catches in your throat. When I first moved from Inverness to Glasgow to study, I was surprised at how warm it was in winter and wet. It took me a while to adjust – and I missed the easterly cold. Last week I was out in Edinburgh on a proper east coast winter’s day and looking up saw what seemed to be a circular rainbow around the sun. I took a pic with my phone and thought it might just be sun flare but on checking with Google I found out my half rainbow was a parhelion or sundog. 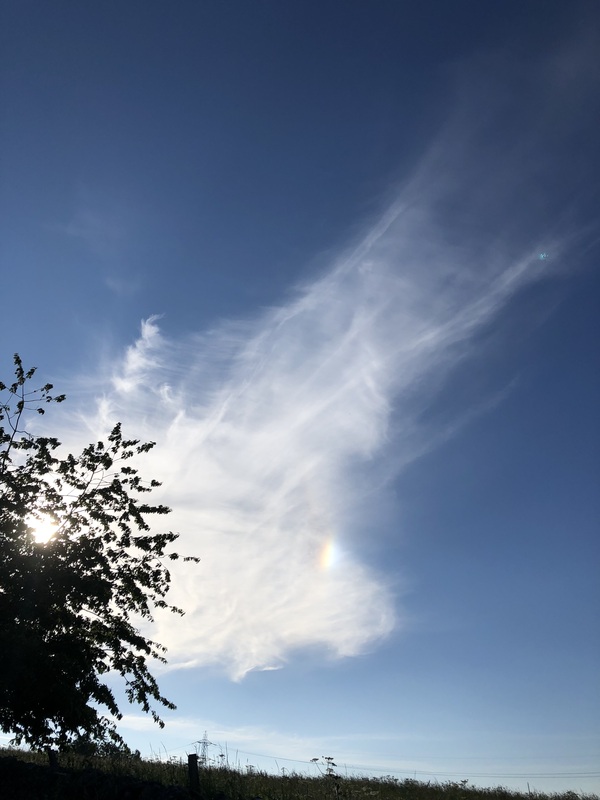 The name parhelion comes from the Greek ‘parelion’ meaning beside the sun and sundogs so called because they follow the sun like a dog follows its master. How sweet is that? The rainbow effect is caused by sunlight being refracted through ice crystals. I took a few more pictures and added this to my encyclopedia of meteorological facts, then spent quite a bit of time looking upwards for a better example – or as I had understood might just be visible on these cold icy days – nacreous clouds. 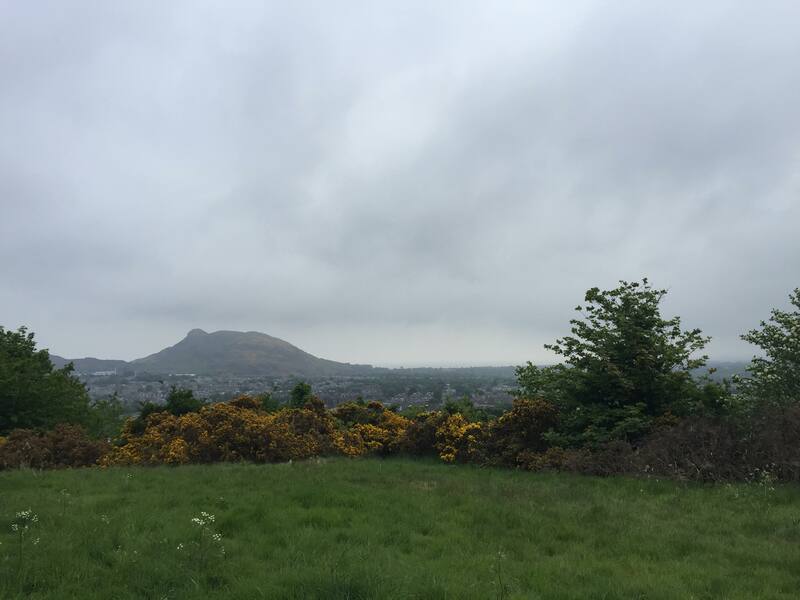 It was a bit low level for proper cloud investigation and I did not have the time or if I am honest the footwear and knees to climb Arthur’s seat – so I stopped off at the Museum of Scotland on Chambers street and headed to the rooftop. On my way, I came across an exhibition on Scottish embroidered samplers – framed samples of stitches cross stitch, french knots etc. creating alphabets, motifs, and family pictures. It was serendipitous that I came across this exhibition, as I had opted for a quiet side stair to quickly reach the roof. I imagine the museum building was designed in this way to encourage accidental discovery. What incredible skill was evident in the samplers produced by girls as young as six. The craftswomanship and patience in evidence was a reminder of how young women often had to channel their skills and intellect in different ways when not included in formal education. Well, that’s one thing I took from it – but mostly I was in awe of the dexterity and neatness of the handiwork. My own attempts at embroidery or any sewing being rather slap dash. No more sundogs spotted when I reached the roof but the views across Edinburgh and the skyscape from the building were worth the trip to the top. Every now and again I do one of those geeky calculations around how many hours I have spent commuting or sleeping or running. 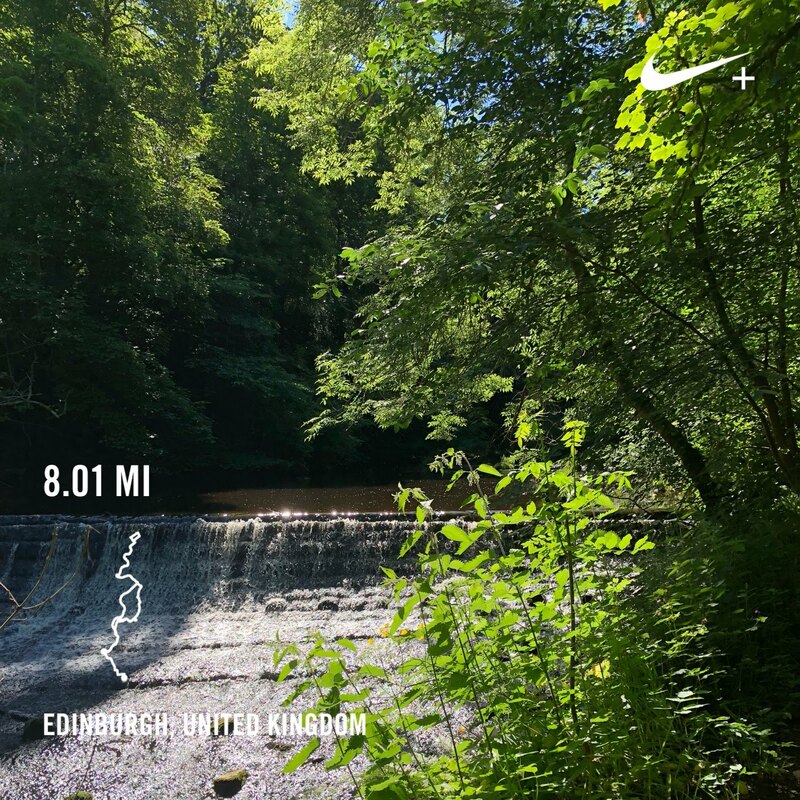 According to my Nike+ app, my total miles run since 2009 is 6697 miles and based on my average pace, it means I have spent 1116 hours running and of those, I imagine that for around 80% of that time I will have been running alongside my good friend Alison. That’s over a month of talking. Fast and slow runners ask how we can run and chat – but that’s the main ‘raison d’ être’ of our running. It is a social occasion and mutual therapy rolled up with exercise and fresh air. Someone should bottle it and make a fortune! Given all these minutes we have spent in a moving conversation, we have covered quite a few topics even though there are recurring themes. We have shared and supported each other through some tricky times but mostly we have had a lot of laughs and the comforting ear that friendship brings. Recently we have been talking quite a bit about the books we are reading and sharing recommendations. 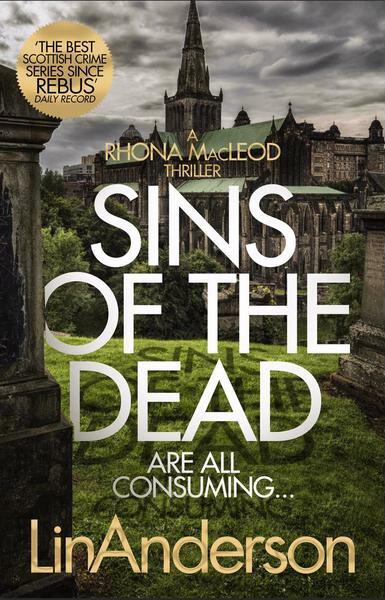 We are both fans of crime fiction and have now read the Lin Anderson Rhona Macleod series of novels. I would love to say we have made an insightful critique of the literary merits of the genre – but the truth is we are much more absorbed by the two main characters than the writing or the plot – appreciating their believable and familiar flaws and wondering about the ‘will they /won’t they’? chemistry between them. Alison belongs to a real book club, but I think our running book club could catch on as it nicely ticks off two life-affirming habits in the space of an hour or so. Some days it’s just so good to be outside and yesterday was one of those days. I did a short lunchtime run – or more accurately half run /half walk – in the hills close to where I live. 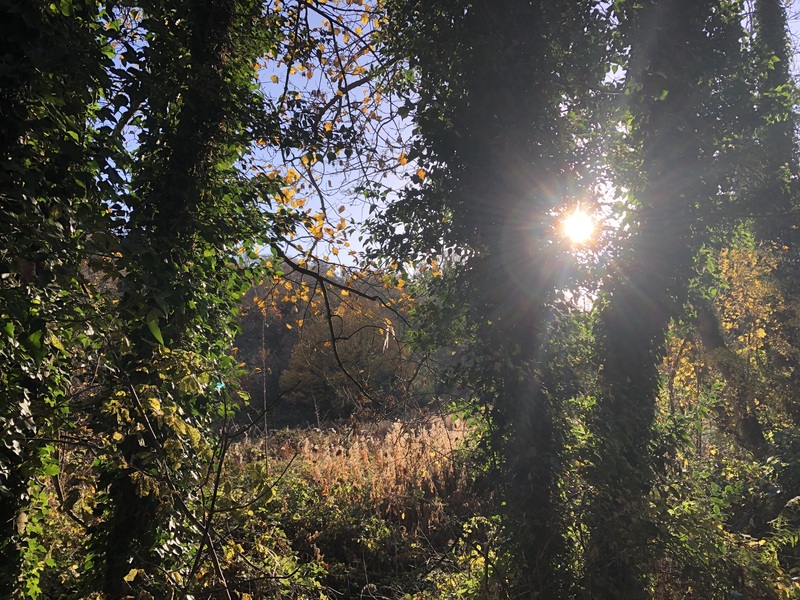 Autumn is such a beautiful season, the light was perfect and after a weekend of blustery rain, it was lovely to run without a breath of wind and alongside mirror flat waters. These are the days when anything seems possible and being outside is a joy. The weather forecast promised a day of sunshine and a brief Indian summer. With the thought of one last hurrah of sunshine, it was almost mandatory to make the most of it. I am in a period of transition, or maybe limbo is a better description because transition implies that you are moving in a planned way from one state to another- whereas I have left somewhere and as yet do not know the next destination. There are a couple of work projects bubbling under – but they are at the tentative stage and all told not quite enough to be overworked. Freelance life is an interesting one that’s for sure. 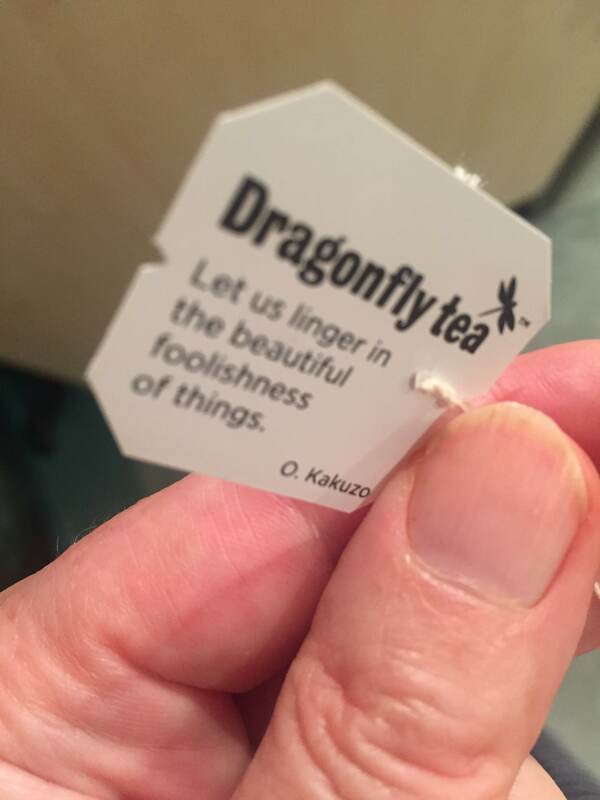 So Carpe Diem – seize the day and all that! Nothing for it than to go running. 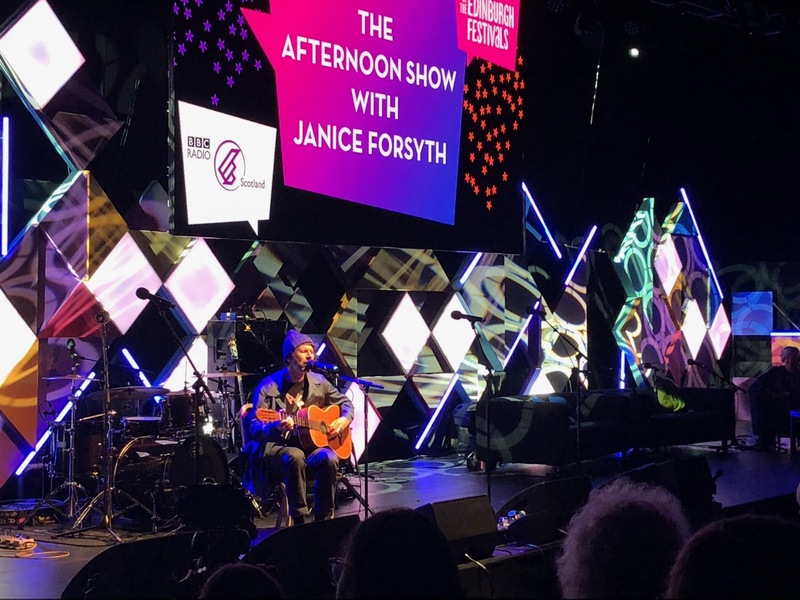 Unusually for a Monday morning at 9am, I was queueing to get into BBC’s big tent in Edinburgh to watch the recording of Janice Forsyth’s Radio Scotland show. Was a last minute thing to do when a friend asked me to join her. Each day the magazine showcases a tiny but eclectic mix of what’s on at Edinburgh Festival and Fringe, and I had no idea who we might see. As it turned out – this ‘chaos of delights’ as described by Janice had a loose theme around ‘finding your voice’ featuring – impressionist Jon Culshaw, a Capella singer Kate Dimbleby, all-round Renaissance man and ball of energy Robin Ince, each providing small snapshot of their shows with a light touch and laughter to start the week. While I knew both Jon Culshaw and Robin Ince – the beauty of this format is discovering something unheard of. Today for me from the official festival Geoff Sobelle’s theatre piece – Home- described as ‘a spectacle and illusion, choreography, storytelling and music’. Geoff and his musical partner Elvis Perkins talked us through the idea behind Home and shared short musical taster. More music came from the contrasting styles of Super Furry Animals lead singer Gruff Rhys, and blues band ensemble Blueswater – providing toe-tapping playing, stellar singing and a harmonica virtuoso. A smorgasbord, an amuse bouche, a carefully portioned taster of just a few of the shows on in Edinburgh at the moment. Janice Forsyth holds it all together with an easy grace and humour. Would be nice if all Mondays could start this way. Went out running this morning – earlyish. I could say it was with a spring in my step and vim in my vigour but that would be fake news. The grey mist and drizzly gloom of yesterday had lifted and the air was fresh ( funny how quickly we wish the hot, hot temperatures would return after only a few days of rain). I was listening to a good podcast – an episode of the Food Programme featuring chef Marcus Samuelsson* The story of his life through food is full of twists and turns and distracted me from my niggly knee and cranky outlook. 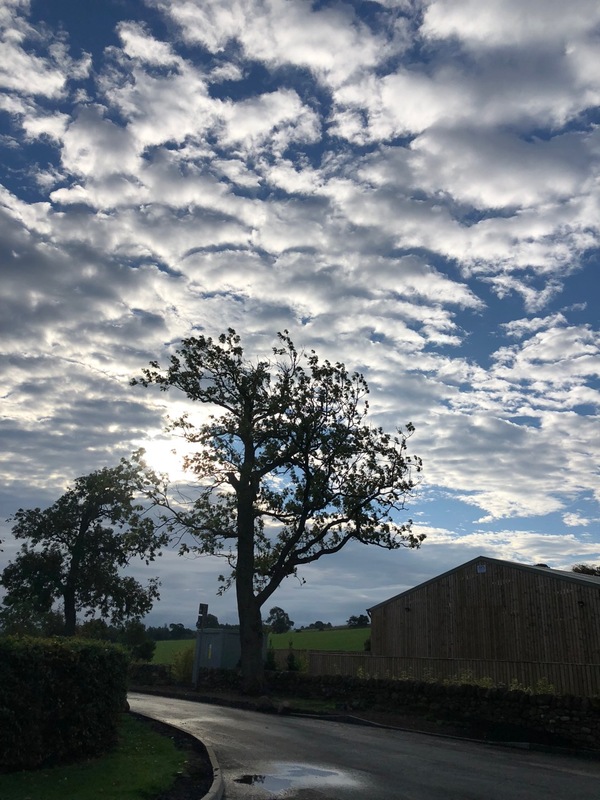 As I reached the turning point in this 3-mile run – it’s beyond half way and feels like the home straight- I saw a favourite tree against a background of watery sunlight and blue and white sky. On a summer evening, this is a good place to watch the swifts and house martins swoop and glide. 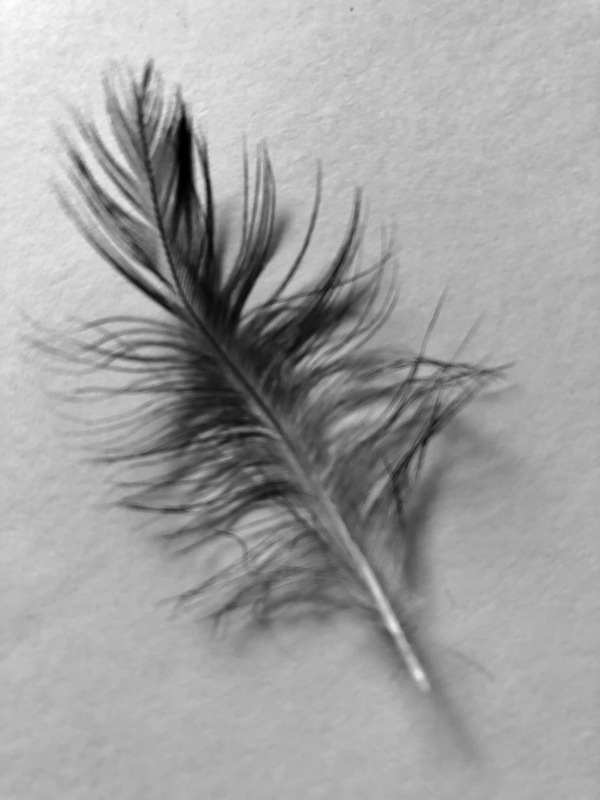 Today as I ran past the tree, I saw a small feather flutter slowly down from the branches above and running, caught it mid-flight and mid-stride in a rare elegant move. 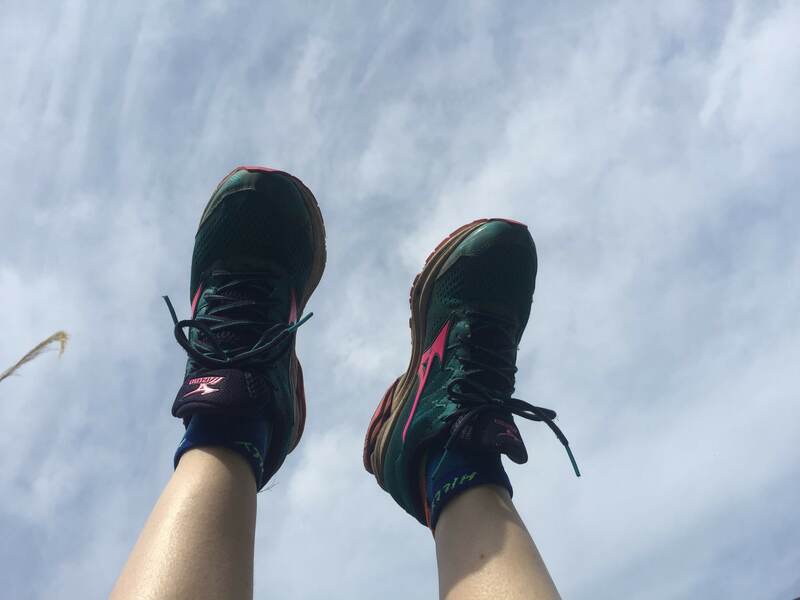 Absence makes the heart grow fonder – how to rekindle my running love ? 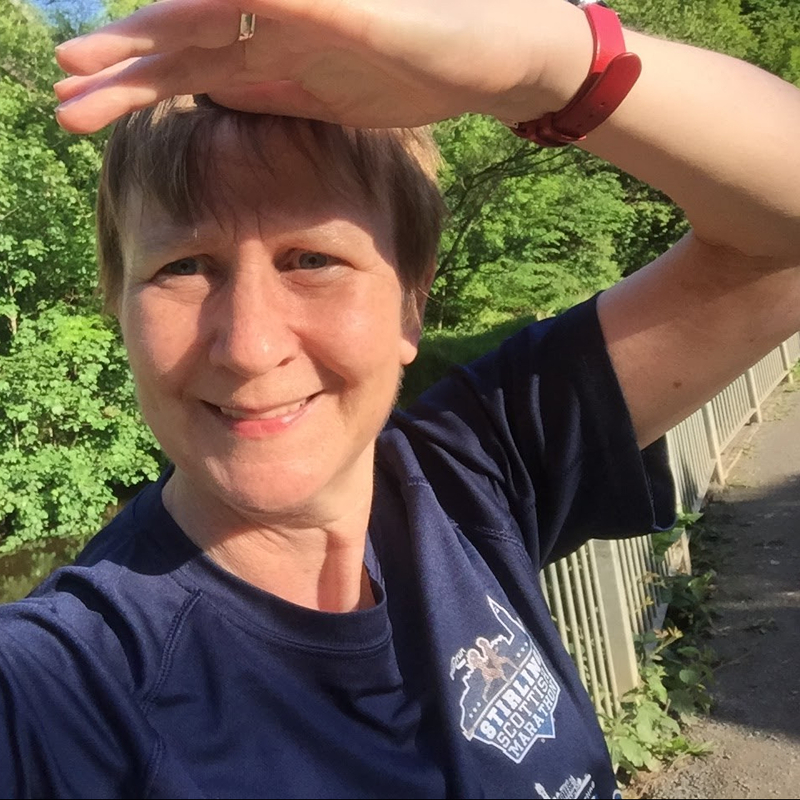 It is 9 years since I started running – by that I mean it was in 2009 that I started running regularly and called it my hobby – in May of that year I ran my first race. In the ensuing 9 years my relationship with running has been a good one – and through running, I have found great friendships both in real life and online. Over the years, me and my running pastime have had our ups and downs but largely my love of everything to do with running has been an enduring one. Throughout this time – running for me has been first and foremost a social activity with an exercise bonus. I do enter races – but usually with a level of ambivalence and a love/hate relationship with the training regime. I enjoy having a goal to focus on or a challenge to complete and have done a few run streaks. Following a few years of running 10ks and half marathons – last year I trained for and completed a marathon and found the experience of training for the distance and the race itself quite a watershed in how I felt about running. During the months leading up to the race, I realised that running could no longer be mainly a social thing – 26.2 miles is a long way for anyone to run and for someone of average fitness and the wrong side of 50, I knew I had to take it seriously and respect the distance. I had to selfishly focus on my training schedule and sideline the running I enjoyed the most – so I put my social runs on the back burner or when I could I weaved them into my training schedule. While this was a bit of a blow, as the weeks passed I did start to appreciate the feeling of gaining in strength and confidence as I followed a progressive training plan and listened to my coach. Over time I saw that I could run distances of 15, 17, 19, 20 miles and feel OK the next day. 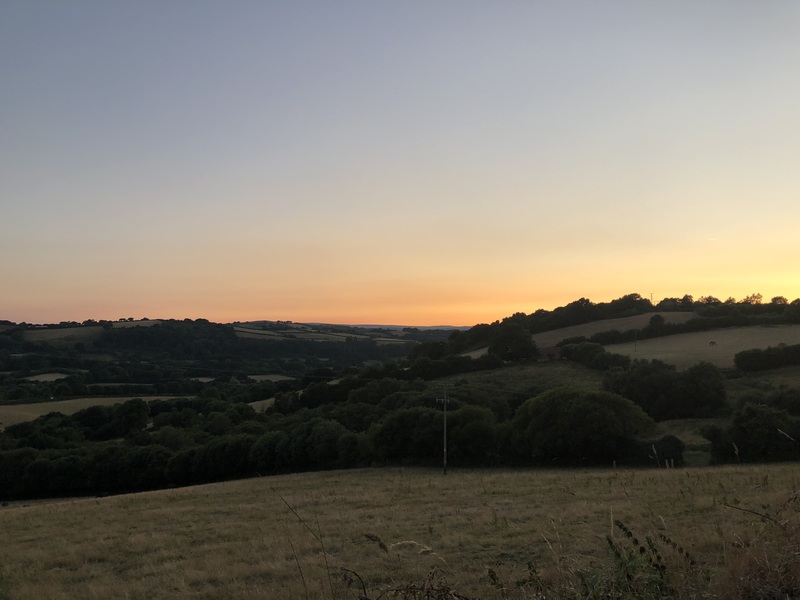 I started to see it as fairly normal to train 4 or 5 days a week – and to rattle off a 9 mile session with some speed work ( YUK ) or a hill rep sesh. I loved how when I went to a Body pump class or Pilates I felt a strength and confidence in my body I had not experienced before. While adhering to my training schedule was mostly motivated by fear of failure – as the weeks passed it felt good to feel strong. This was a first for me – up till then – I would describe myself as a reluctant sportsperson, and one lacking in any competitive edge. In May of last year – marathon day – I am pleased to report I had a largely storybook ending – completing the 26.2 mile distance in a decent time of 4 hrs 40 minutes and joining the club of marathon runners. 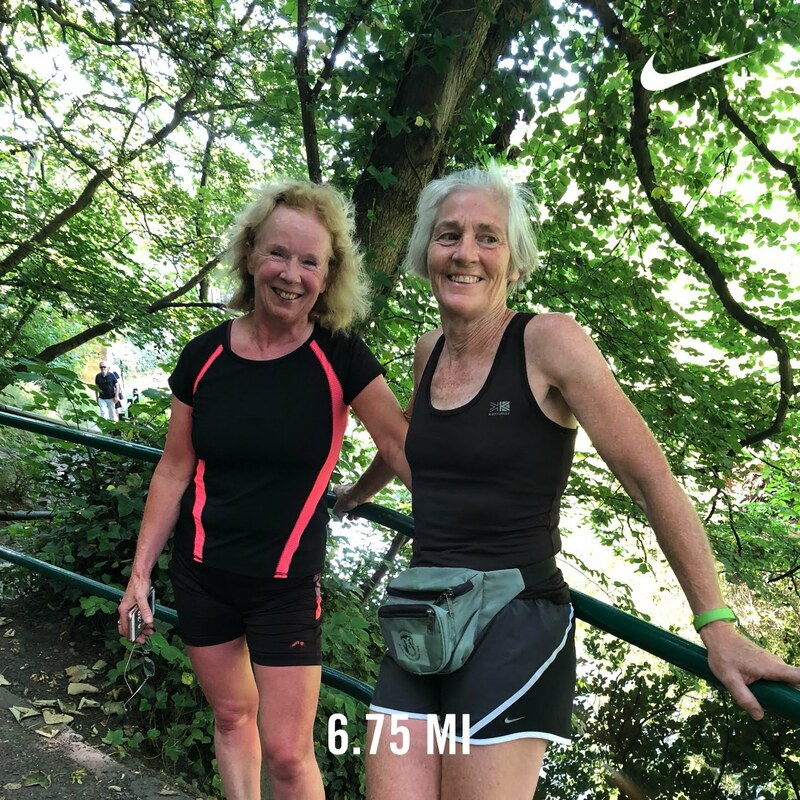 After the months of marathon training – it was lovely to return to running without a purpose and to be back running with friends and without goals. Freedom to run or freedom to not run – how joyous ! 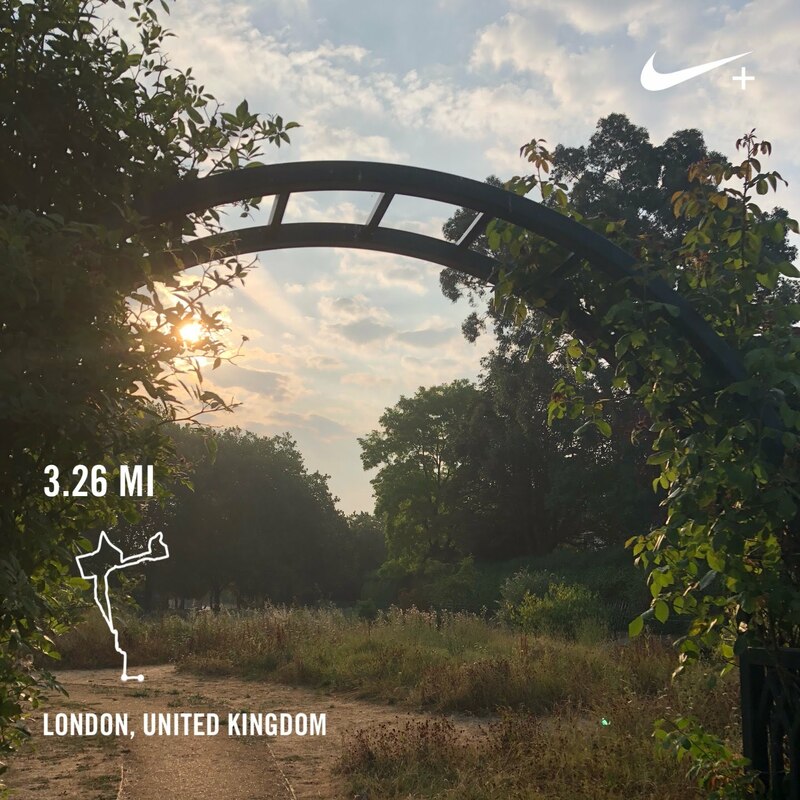 Post marathon – I got back into my regular weekend run routine – but had no desire to enter any races, despite the voices saying – run a half marathon after a marathon and you will get a PB – but the thought of having to push myself to run at pace just held no appeal. And so it continued – the longer I was from the marathon the less inclined I was to set any goals, and my mileage dropped. I think there are runners who on completing one challenge immediately look for the next one – whether that be to improve on a time or increase the distance – but not me. Others find the time post marathon to be a tough one, feeling a bit directionless and struggle with motivation and this has been my experience. Not only have I have lost the motivation sometimes to go out for a run but I have no inclination to put myself through any racing challenge or test. 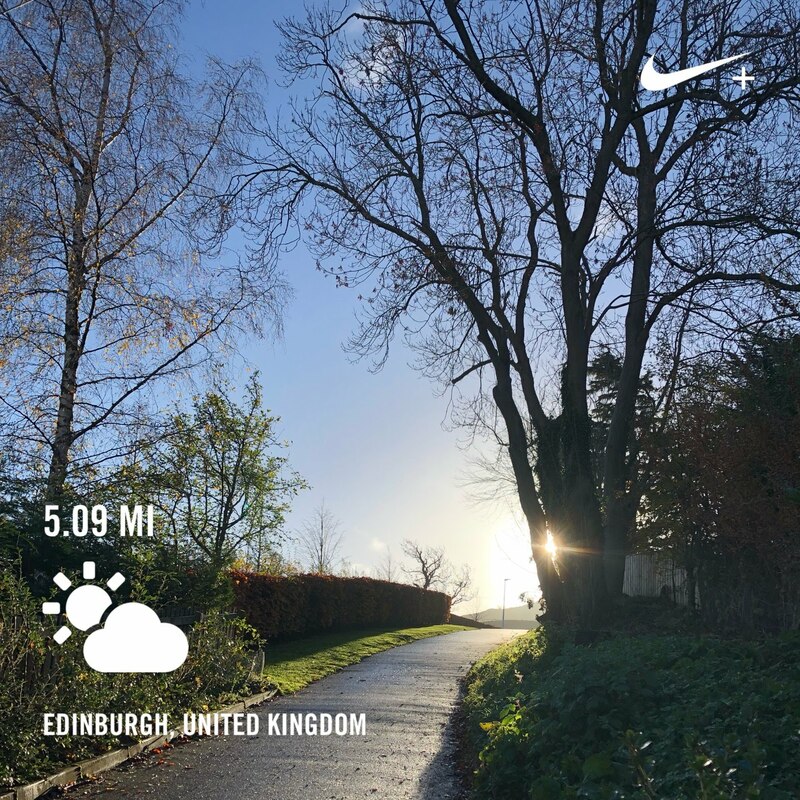 Trying to shake this off, earlier this year I entered the Edinburgh half marathon thinking it would give me the incentive needed to reignite running love – only to bail out the week before. So a bit late in the day, I am declaring 2018 the year of not racing – and perhaps acknowledging that I am going through something of a 9-year itch with my running relationship. I do run – just not very far and not nearly as often. 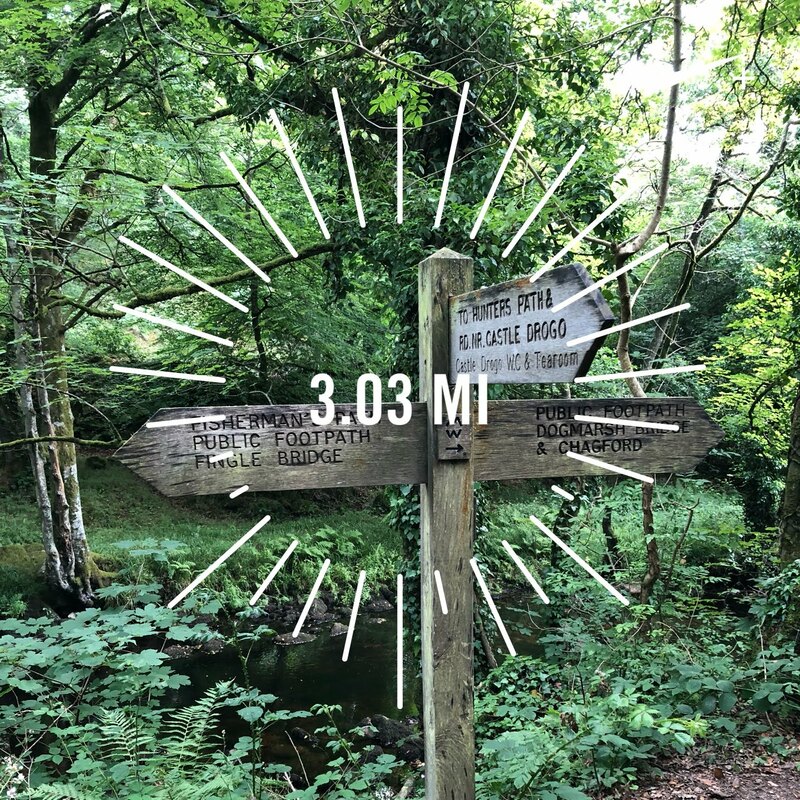 Then about a month ago when on holiday I was out for a hot, slow run on a stony path and twisted my ankle, spraining it badly enough to mean that running was off the menu for a full 2 weeks. Well of course when I was not able to run due to injury – I felt bereft and missed my dear old friend. I wondered what I would do if I could no longer run, and of course, there seemed to be runners everywhere and I had a massive dose of runner’s envy and FOMO all rolled into one. It seems that absence makes the heart grow fonder – even where running is concerned. Have you experienced a loss of running motivation – and any tips for getting through it ?